Who doesn’t love autumn! The air is cool and crisp and the holidays are just a few weeks away! Well you can bring a little bit of autumn into your word work and spelling lessons with this freebie from Crockett’s Classroom. 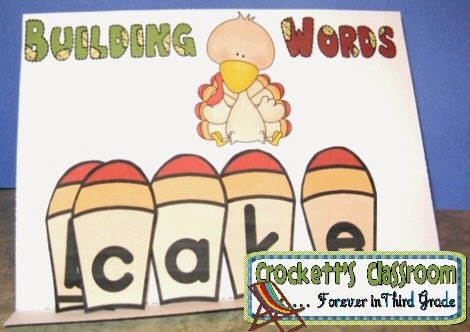 You can use the letters for guided class lessons or set them up in a center so kids can explore spelling seasonal words. Along with the letters you'll also get directions, a student easel and a list of autumn words to use in your lessons. 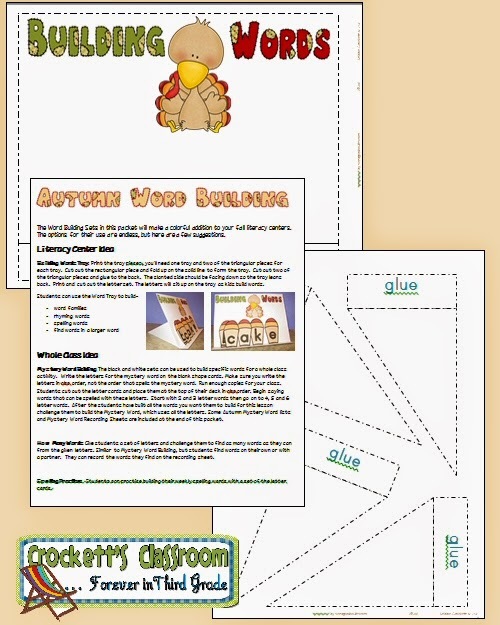 Click here to get your Autumn Building Words activity.